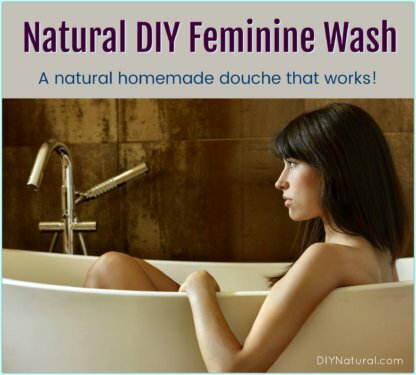 Home DIY Natural Blog Beauty Ever Thought About The Ingredients of Toothpaste? Ever Thought About The Ingredients of Toothpaste? What is toothpaste made of and are the toothpaste ingredients in most brands harmful? We look at these questions, inspect ingredients, & offer alternatives. Did you know that the FDA considers toothpaste as a cosmetic product and a drug, not as a food? I understand the rationale, we’re not supposed to be eating our toothpaste. But toothpaste goes in your mouth, so small amounts often trickle down the throat each time you brush. Safety testing for cosmetic products is lax compared to food products – AND – many cosmetic products are known to contain harmful ingredients. This allows the cosmetic industry to fill our toothpaste with whatever ingredients look good, smell good, and taste good. Never mind their effects on our health! This is an antibacterial agent and preservative used in some toothpaste. To explain, according to the Environmental Working Group’s Cosmetics Database, Triclosan has been shown to be an endocrine disruptor, a skin irritant, and can cause allergic reactions in some cases. These are artificial sweeteners that often show up in toothpaste formulas. Due to the fact that each has been linked to some serious health problems they should be avoided altogether. A liquid that keeps the other toothpaste ingredients from drying out, sorbitol has laxative effects that can cause diarrhea if too much is swallowed. SLS is a foaming agent and detergent commercial toothpaste brands add to make it foamy. This ingredient is dangerous because the production of SLS results in contamination with a carcinogenic by-product. Studies on SLS have shown it can have many detrimental effects on the body. I like my suds, but not at the expense of my overall health. That fun color stripe in your toothpaste ingredients is most likely from a synthetic dye. The Center for Science in the Public Interest recommends avoiding these artificial dyes in personal care products because of the adverse impact they can have, including hyperactivity in children, allergic reactions, and even cancer (in animal studies). This ingredient in toothpaste deserves the attention of an entire article, but putting it simply, fluoride is a neurotoxin. It is an ingredient in our toothpaste (and our municipal water supplies). And it alters the body when we use it. Too much fluoride can have some serious effects on the body including, but not limited to, fluorosis. You can define fluorosis as the spots and discoloration on teeth. In fact, the FDA now requires all manufacturers to put a poison warning on all fluoride toothpaste. I’m serious, go look at your toothpaste label. Fluoride Alert – a network seeking to educate the public on the true dangers of fluoride. The Fluoride Deception – an eye-opening video highlighting information from the book, The Fluoride Deception. If you’re not willing to totally give up store-bought toothpaste, there are many natural brands to consider. Specifically, they formulate their toothpaste without ingredients like sodium lauryl sulfate, artificial dyes, artificial sweeteners, and fluoride. You can find these brands in health food stores or even larger grocery chains. Be ready for a heftier price tag, a good natural toothpaste often costs more than $5 and usually comes in a smaller tube. However, be aware that some of the natural brands you may have trusted in the past are being bought out by giant companies with lower standards. This makes me wonder what questionable toothpaste ingredients they will try to sneak into their “natural” formulas. Not that they have control over the ingredients, including cheaper ingredients above that keep overall costs down. The cosmetics industry, like the food industry, is becoming more sophisticated at the art of naming ingredients. You may not notice some of the toxic ingredients on the packaging anymore. Usually, that’s because they now use other names to describe the same ingredient. 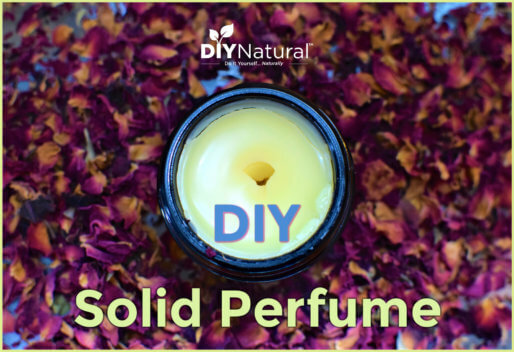 For example, sodium lauryl sulfate may also be called sodium dodecyl sulfate, lauryl sodium sulfate, sodium n-dodecyl sulfate, or lauryl sulphate sodium salt. This is a game changer. To explain, we need to be savvier and more aware of all the pseudonyms for ingredients. The best way to avoid harmful toothpaste ingredients is to stay away from commercial toothpaste. Homemade toothpaste is one of the easiest DIY projects you can do. Gentle brushing with a soft toothbrush and a few safe toothpaste ingredients can keep your teeth and body healthier than brushing with toxic toothpaste. There are many different combinations of natural ingredients you can use to clean your teeth. According to Dentist Robert Nara, in his book, How to Become Dentally Self Sufficient, using real sea salt in your oral hygiene routine can treat or prevent most tooth and gum issues. Real sea salt contains a lot of trace minerals, many of which your teeth need to stay strong. Direct application of these minerals can benefit teeth and gums. Regular table salt does not work in the same manner and is not recommended for brushing. Find pure sea salt we recommend here. Baking soda should be one of your natural toothpaste ingredients. It is a wonderful natural product for polishing teeth, removing stains, and freshening breath. Check out our simple recipe for baking soda toothpaste. Contrary to what many of us have been taught, baking soda is a gentle product for teeth. According to the RDS Values chart – an index of the abrasiveness of common toothpaste – straight baking soda is far less abrasive than most commercial toothpaste. However, if baking soda causes gum or tooth sensitivity for you, choose another natural product for brushing. I love using coconut oil for brushing my teeth. You can mix a little baking soda with coconut oil to form a paste for brushing. The texture is smooth like commercial toothpaste you may be used to, and coconut oil is naturally antibacterial. Your mouth will feel squeaky clean after brushing and you can be confident you’re not adding toxins to your body. Find high-quality coconut oil we recommend here. Check out our favorite recipe for herbal tooth powder. If you’re not familiar with tooth powder, it cleans just as well (or better) than toothpaste, and is a homemade product with a long shelf life – thanks to the absence of liquid. Have you ever thought about toothpaste ingredients? Is It a Cosmetic, a Drug, or Both? (Or Is It Soap?). FDA.gov. 8-2018. Anna L. Choi. Developmental Fluoride Neurotoxicity: A Systematic Review and Meta-Analysis. Environmental Health Perspectives. 10-2012. Yes, I’ve been using baking soda mixed with a little glycerin, sea salt and pure peppermint oil for a long time. I think flossing and using a stainless steel tongue scraper (as someone else mentioned) is essential. I love being able to “whip up” a batch of toothpaste whenever I’m out. Thanks for your website, I LOVE it! Isn’t it great to learn all these skills? It usually takes less time to whip up a new batch of something than to write it on the grocery list and go find it at the store, right? Thanks for reading our articles and adding your insights Julia! yes, I agree! Blessings to you both! I briefly tried a homemade toothpaste and loved it. I used coconut oil in it 2 give it that pasty consistency. However I quit using it because I became concerned that the coconut oil would clog my drain. Can anyone advise? Now I’m rethinking my commercial toothpaste again. I’ve tried the sea salt and baking soda and it tore up my mouth. An earlier post suggested moistening baking soda w-water or saliva. Also, is there a difference in types of baking sodas? As one post earlier mentioned ‘all natural baking soda.’ To anyone who can answer these questions it would be greatly appreciated. There is a difference in baking sodas–most baking soda (like Arm & Hammer brand) is created through a chemical reaction process, while natural baking sodas are mined directly from the ground in their natural state. We use a natural brand (like Bob’s Red Mill) for personal care products & food, but we use Arm & Hammer for cleaning. Hope this is helpful! I didn’t know that ~ thanks for the tip! To prevent the coconut oil from clogging the drain, I spit it out into a tissue and throw away. Matt and Betsy have a recipe for a DIY Mouthwash that is very nice. You can find it on their site. I have poured a small amount of this DIY mouthwash into a cup, wet my “extra soft” toothbrush in it, and used that to brush my teeth. It worked really well. What was left in the cup I used as a final rinse after flossing. Then there is no harshness at all and combined with the extra soft toothbrush, it should not tear up your mouth. Check out their site for the mouthwash recipe. Baking Soda, Listerine (not with flouride), Tea Tree Oil and Hydrogen Peroxide. I love it and I’m sure I’ll continue making some changes in the future but this is how I’m making it for now. I’ve told my dentist what I’m doing and he just shakes his head & says to keep doing what I’m doing. The dental hygenist told me to be sure and use the Listerine WITH flouride. I just say ok and keep using the one without flouride. I neglected going to a dentist for a number of years so I had issues when I found a good dentist. Considering the issues I had, my teeth & gums are much better now. Oh my, I am in the process of trying to find a new toothpaste and I am really happy I stumbled upon this. Now I know what to look out for! Thanks for doing all this research so I know what is best to get! I had to stop using all commercial toothpastes years ago because of allergies. I was constantly getting canker sores when I was using them. I made the switch to Tom’s of Maine, which has been great, but now that I know they use SLS in most of their pastes I’ll be making my own. And so it goes. Tom’s of Maine is now owned by Colgate-Polmolive! When these large corporations buy out the little guy, I always worry. I am so glad I found Melaleuca, all natural products. It is surprising how much difference it has made getting the chemicals out of my home and using the natural products. Thank you for all the articles helping us make better choices. No problem Melissa! We love bringing this sort of information to readers who may not have the time to research things themselves. Thanks for reading! I have even found carageenan listed in toothpaste. Doesn’t surprise me. And it’s totally unnecessary. They are sneaking aspartame in certain brands of toothpaste; listing it as ‘natural flavors’. Aspartame gives me panic attacks. So its a dead give away when I start getting panic attacks that I’m using the wrong toothpaste. I meticulously make sure I don’t eat food or drink products with aspartame. I’m not so sure all fluoride-free toothpastes are really fluoride free. By their taste, I’m almost sure some of the brands have sold us out. If you’ve been using fluoride-free and aspartame toothpaste for years, you can tell when a poisonous ingredient was slipped in to a new brand you are trying. I will be making my own toothpaste from now on to save money. It also tastes a whole lot better. How dare they list aspartame as ‘natural flavors!’ This sort of thing gets me all worked up!!! DIY toothpaste is definitely the way to go. I have used my home made toothpaste for the last year and its been wonderful. I use 3 tsp coconut oil, 1.5 tsp baking soda and salt, and enough coconut glycerin to make a paste. I add peppermint and sage oils and that is it. Yesterday I had run out of my toothpaste and reached for the reserve/visitors tube of paste as I had to go out. Never again!! My lips were sore and dry and my mouth was cloyingly sticky dry and my tongue hurt. I was having trouble speaking because of the dryness. I know there has been a lot of talk about using essential oils, but I only need 2 drops of each for my mix and sage is so good for mouth care. I have used herb tea but the mix went mouldy so I have gone back to the oils. Am thinking about trying some hydrogen peroxide instead of the glycerin for whitening. I am the only one who uses this so its not near children. Hi Betsy, yes you are correct about glycerin, but it does depend what it is derived from. I said I use a coconut based one, which is not a sugary one like the palm or sugar cane based ones which are the types used for cake icing and available at most grocery stores. I use glycerin in some of my other skin care products and buy the best. I probably use about half a teaspoon in my mix so it is not much. Some recipes out on the net use it as the main ingredient for mixing, and I shudder when I read it. I am going to buy some hydrogen peroxide to use instead. Incidently my tongue is still sore 24 hrs after using ordinary toothpaste. It feels like the tip is enlarged and split. Was a lesson well learned. I did not realize until I started researching fluoride how toxic it is. My gums have always bled each and every time I brush my teeth. Even as a child. 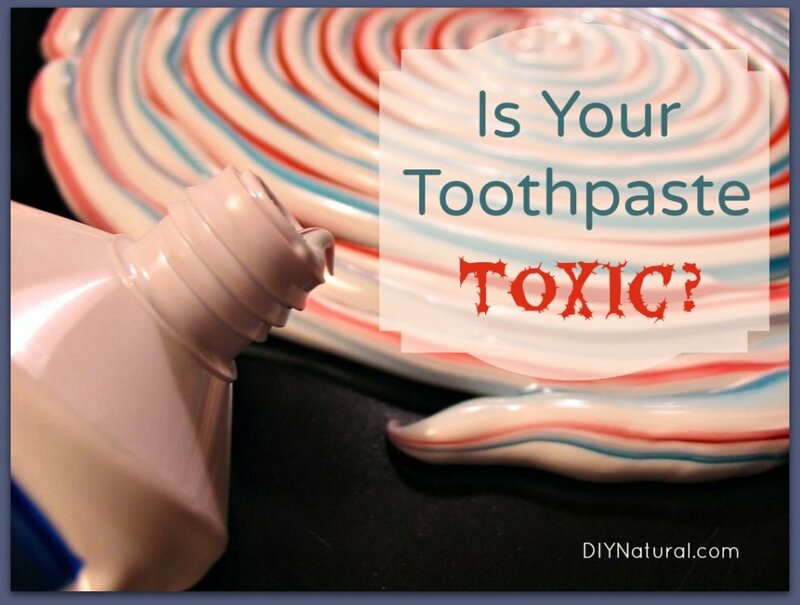 So many years ago, I switched to natural toothpaste and then I finish with baking soda. My gums have stopped bleeding and they have healed. The last time I went to the dentist in 2008 to have my teeth cleaned, the dentist told me that I did not have to come back for about 10 years. He told me that my teeth were now very healthy. He asked me what I was doing and I told him and he asked me not to tell anyone else as it would eventually put dentists out of business. At least he was honest. I love your book. Thank you. What a great testimonial for a more natural way of brushing! Isn’t the information on fluoride surprising? It’s hard to believe it’s still allowed in toothpaste. We are no longer use store bought toothpaste. My recipe is a recipe for remineralizing toothpaste i found online, it uses Coconut Oil, Baking Soda, Calcium powder, Xylitol and essential oils for flavor. Since i did not have the Calcium powder upon further reading i found that you can also use powdered chicken egg shell instead, so since we have free range chickens that’s what i did. Sensitive teeth are an issue in our house so we used Thieves blend in the paste. This is the 2nd week we’ve used it and so far no issues and boy does it clean your teeth. We also are using Oil Pulling and started that at the same time, time will tell if it makes a difference but i won’t be going back to storebought paste regardless. I hear you Janet! We have experimented with several different homemade toothpastes and we’ll never go back to store-bought either. 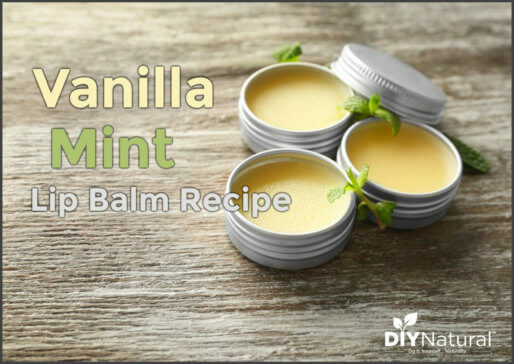 We like our DIY toothpaste so much better! Thanks for all you both do to help others with learning how to save $ and be healthier. I was raised by a family that used baking soda & salt toothpaste and saw the results of how well it worked. I have over the years learned about Tri-Salts, ( I order from the health food store) and it is very finely ground and works well with the organic soda. Thanks for the idea of using with coconut oil..what a great idea to take this anti microbial oil to our own home made tooth paste. I really enjoy your DIY Natural tips. I subscribe to the blog, OneGoodThing by Jillee. Today’s topic was activated charcoal (AC) uses. It was revealed that AC has been used for eons as a tooth cleaner and also to absorb harmful toxins, so it will whiten, freshen breath, and hopefully get rid of some bacteria. It was convincing enough that I am going to buy some AC, which is to be mixed with water for a paste. Please see the blog for more details. Fluoride may be harmful, but my advanced dental woes are due to being priced out of dental care and of some bad dentistry. I really like the idea of a dental coach, as noted by the contributor above. I don’t mind using plain baking soda for brushing my teeth. My mouth feels very clean afterward and even a little sweet. I used to think baking soda was awful for brushing, but now I really like it…an acquired taste, I suppose. 🙂 It definitely cleans & I don’t miss the suds from commercial pastes. Baking soda dissolves quickly when it contacts the water on your pre moistened toothbrush or the saliva in your mouth, and in that dissolved state it is not abrasive. You only use a small amount. Extra soft bristle toothbrushes are also best for teeth and gums. Floss and remember to clean your tongue, to remove hidden sources of bacteria. Thanks for reading and adding your tips Sue! I agree there are some harmful ingredients in tooth paste. Fluoride is not one of them. In correct amounts it prevents decay. Too much will actually turn your teeth brown. That’s how it was discovered. Nowadays people consume too much commercially made products. They are finding fluoride in soft drinks because they are using city water to make it. All in all fluoride is good! It has allowed people to keep their teeth for a life time!! The toothpaste recommended by dentists is the “cavity protection” only! The whiteners, tartar control etc… cause a lot of sensitivity and some people even have an allergic reaction. Baking soda is too harsh to use every day. Those interested in learning the truth about the dangers of fluoride can read this. Fluoride has been studied extensively and reputable well-done studies show that it is absolutely safe and effective when dosed properly. Just like anything else, side effects occur with overuse. I am a dentist and have nothing to gain by recommending fluoride. It works and is one of our best defenses against tooth decay. But it does not require taking it systemically. Topical use is safe and effective. And beyond the studies, I have not ever seen a patient born in the 80s or later with signs of fluorosis. Dosing is now precise and well-documented. For those interested in natural dental products, please also give Xylitol a look. That is how you were trained Shaina, but it doesn’t make it true. Matt, I’m not trying to change your conviction. However, my training, as you put it, taught me how to read and understand this literature and the studies. I am educated in biology, biochemistry, chemistry, physiology, pharmacology, and a slew of other sciences. I am an open minded practitioner and I promote natural medicine in my own practice. My stance on this subject is not blind. I have read studies on both sides. My mission is to promote patients and consumers taking the time to learn all aspects of these issues, rather than say “I’m all natural and nothing is going to change that.” I don’t know a single person living a chemical-free life. And if you are going to allow some items into your regimen that are not fully natural it makes sense to me to choose ones that have health benefits. And I assure you that you’re putting plenty of chemicals in your child’s mouth when they have to have a cavity filled. So, a properly dosed topical flouride that is not ingested is a clear benefit. I am not against my patients using natural or home-made toothpaste. I’m only saying that some people, particularly children with less than ideal nutrition and poor brushing habits, truly benefit from this ingredient. The benefits far outweigh these potential risks that are rarely seen in real life over the past decades. Information in the media can be misleading. After reading the above article I have to ask rhetorically, do you know anyone who has gotten diarrhea from the ingredients in their toothpaste? I used to use Young Living’s Dentarome made out of essential oils, etc. I love it, but it’s pricey. So, now I’m using a homemade toothpaste almost like your baking soda one, 1C Baking Soda, Zest of 1 Lime (dried and NO pith), 10-20 drops Peppermint Essential Oil. I love that…wow. That sounds like an awesome natural toothpaste Donna! Love your idea for the dried lime zest. Great article with accurate insights! As a dental hygienist turned oral health coach (think personal trainer for your oral health routine), I am always fighting against this one! It’s a huge issue in gum disease because the key ingredients in most toothpastes cause an imbalance in the bacteria in your mouth. It’s disappointing to go into an office as a substitute hygienist and see nothing but chemical laden products being distributed and recommended. I have a list of 5 toothpastes that I love and recommend, but this is after years and years of searching for natural products that are effective! Thanks for getting good info out! Are there any on the list for sensitive teeth? I accidentally used tartar control toothpaste, and now my teeth hurt all the time. I’m currently using one that I know is not good, but it makes my teeth stop hurting. If you will use natural baking soda and brush your teeth with only that for about a week your teeth will not be sensitive anymore. Please be aware that natural baking soda is very salty and expensive. However it is worth every penny. You can use oil of clove on your teeth. It is in a prep they use at the dentist’s office when you have a tooth filled. Take baking soda and put in a container. Put in some cinnamon sticks and whole cloves and let it sit for a few days. Brush as usual. I also found that baking soda and cinnamon is great for a carpet deodorizer and the smell of cinnamon keeps fleas at bay. Can you tell us what list of products you recommend, thanks. There is a brand called Earthpaste at health food stores. It contains the same ingredients as our upcoming tooth powder recipe only it’s a paste. I wonder if you could possibly enlarge your print, even a little. I find it very difficult to read. I have macular degeneration, but the Lord is healing me gradually, just as He promised He would. At optician’s I amazed him I could read telephone book print – he expected me to start reading two sizes larger!! But your print is very difficult. I do so want to read your articles so badly, and am disappointed. I’m sure there are many others who would appreciate it being a little larger! Hi Elsie! Our font is already size 14 which is on the large end for websites. I’m assuming you’re on a Windows computer so I’ll recommend looking into the tools that come with Microsoft operating systems. You can learn about them in this article. Blessings! Here’s a tip that should make it easier for you to read this site and every other website. * Press Ctrl and + at the same time. This increases the size of your page. * Press Ctrl and – at the same time to decrease the size of your page. * Press Ctrl and 0 (zero) at the same time to change webpages back to their default sizes. These are the commands to use on a PC. If you’re on a Mac, these will work as well, but the Ctrl button is called something slightly different. (It is still something in your bottom-left corner of your keyboard, but I think it is the Command button on a Mac with the plus sign, minus sign or zero button.) Hope this helps! OK, I checked from a Mac; it is Command + to increase font size on an Apple computer. To enlarge your print on your pages: On your computer keyboard, hold down the Ctrl key (bottom left or right) and then press the top row ” + = ” key. This will enlarge more every time you tap the ” + ” sign.